Discussion in 'iPhone' started by shmiluy, Oct 4, 2012. My iphone 5 does not come with sim card eject pin. WHAT IF I NEED TO EJECT THE SIM CARD? I can't believe there is no pin in the box!!! None of them do since the 4 I think, or the 4S. Check inside the booklet with all the information and paperwork. I thought mine did not come with it either until i checked the little white booklet. US iPhone 4's and newer, I think don't come with SIM ejector tools. However, the pin on the end of the tool happens to be the same gauge as the wire of a paperclip, so a paperclip is a suitable stand-in tool. I have a spare paperclip I can send you. Pretty sure only the AT&T ones do, Verizon/Sprint don't. Not that it's really that important. US version does not come with a pin but all other versions have it. I'm pretty sure the 3GS was the last iPhone that came with an apple "sim eject tool". Use a paper clip, and calm down. Factory unlocked ones come with it also. I keep one on my keychain, helpful when traveling. My AT&T branded iPhone 5 did not come with the tool but my wife's unbranded iPhone 4s did come with one. Well when I got my iPhone 4, it's didn't come with the sim tool. It really was a wasted tool, since a paper clip works just fine. Motorola (Droid RAZR M), HTC, and Nokia seems to be providing their own SIM eject tool just fine. Is this a joke? Are you seriously that senseless that you think you need a tool to eject the sim? How can you even dial a phone number? How could you sign up for a macrumors account and post a comment? I think you must be kidding. Isn't this textbook trolling? I didn't get any damn apple stickers either. Did you? Really? I never knew this. I bought my iPhone 4 from Canada, it comes with a pin. My 4S was bought from apple store USA, unlocked version, also comes with a pin. My second 4S which was bought in Indonesia cuz some ****** stole my iPhone, also comes with a pin. Why did apple remove the pin? I know a simple paper clip will solve the problem, but they should have included it. Soo.. only international/unlocked version comes with a pin? 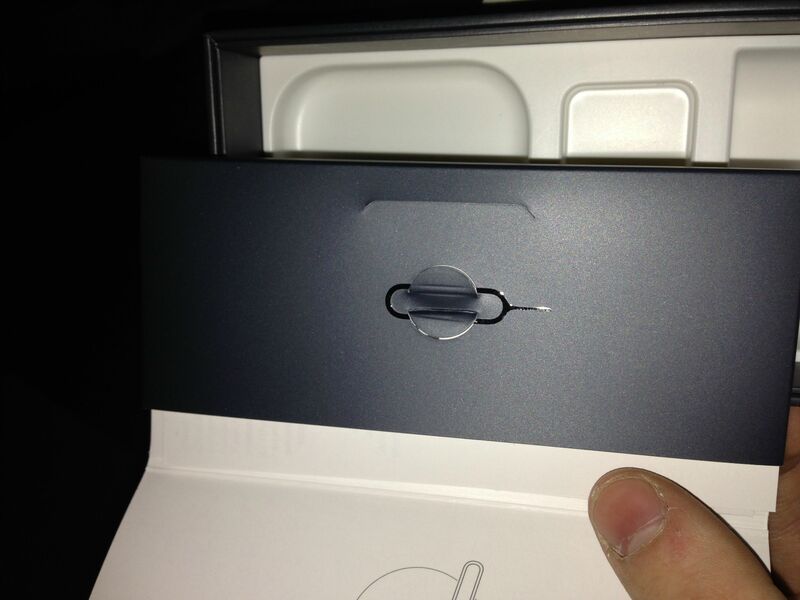 My att iphone 5 did not come with a clip....just use a paper clip. If you give me your address I'll send you one as long as you promise to never post on macrumors again.